Free DIY HCG Diet Menus - Good for Ketogenic Diet too! - Do-It-Yourself HCG Free DIY HCG Diet Menus - Good for Ketogenic Diet too! These HCG Diet Menus were created by us, the owners of DIY HCG, because we lost weight fast following this plan and now we want to help you lose weight fast too! These recipes are also excellent while you are on the ketogenic diet and other related healthy eating diet plans. Diets work with good planning... Start your week off right by planning your meals. The more you plan, the less likely you are to deviate from the HCG Diet. Actually, diet like ketogenic diets and others require planning too. We have created several sample menus for all parts and phases of the HCG Diet (an other related plans, like the ketogenic diet plan) to give you some ideas of how to incorporate foods together while on the HCG Diet. Click below to get your creative juices flowing and start planning your meals today. The gorge days are also known as 'load days. You will see high-fat foods such as pizza, milk-shakes, ranch, cheese, cookies, etc. on these HCG Diet gorge day sample menus. Bonus - We have the top 6 tips for the gorge days here too. Now you'll be able to complete your gorge days with confidence... and antacids. Phase 2 is also known VLCD and P2. You'll see very low calorie foods such as lean meats, veggies, fruits. Plus, some HCG Diet safe products thrown in to give you ideas of how to make food taste better while on the HCG Diet, like our Simple Girl Carolina Kick BBQ sauce, Simple Girl Hot Sauce, Simple Girl salad dressings, Simple Girl seasonings, flavored stevia, and more! Phase 3 is also known as maintenance and P3. You'll see larger, healthier meals to help establish your new-found freedom. Most of the HCG Phase 3 meals, and other diet plans like the ketogenic diet, are also centered around protein, which is a very important part of this phase. Meals and snacks high in protein have been established to help dieters maintain weight loss easier and keep the weight off long-term, when compared to participants who do not eat high-protein foods during Phase 3 of the HCG Diet. 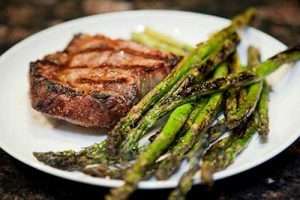 Thanks for visiting the sample menu portion of our website... we hope it helped you better understand what to eat while on the HCG Diet and how to incorporate the food together into great meals and other diet plans. Looking for ways to make your meals better? 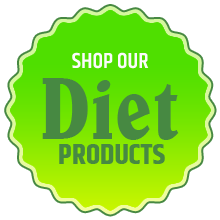 We have some great products (that we’re going to brag about for a bit) that can really help you on your HCG Diet weight loss journey! Pre-Portioned Lean Meats: Take the mess out of the HCG Diet… we’ve done all the work for you. These meats are pre-trimmed to remove any visible fat, pre-measured to exactly 100 grams portions, frozen, and shipped to your door! See more about these products here. Dressings and Sauces: We have several different salad dressings and sauces that are life savers while on the HCG Diet. Such as our Phase 2 safe Simple Girl Sweet Vinaigrette salad dressing, which is perfect on anything. Or… our top-selling Simple Girl Carolina Kick BBQ Sauce that is perfect for all phases of the HCG Diet. See more about these products here. Grissini Breadsticks: Depending on where you live, the correct brand of grissini breadstick for the HCG Diet is hard to find. So, for the ultimate convenience of our customers, we started selling them. See more about these products here. Simple Girl Spices and Seasonings: Store-bought spices are filled with sugars and additives that can mess you up on Phase 2 or Phase 3 of the HCG Diet and other diet plans like the ketogenic diet plan. We have a line of stevia sweetened, zero-calories spices that are perfect for all phases of the HCG Diet. See more about these products here. Flavored Stevia: Life should be sweet, sometimes your food should be sweet too. While on all phases of the HCG Diet and other diet plans like the ketogenic diet plan, use diet-safe stevia. We carry SweetLeaf® stevia which is an all-natural, zero calorie sweetener. It’s available in plain (clear) or flavors. See more about these products here.